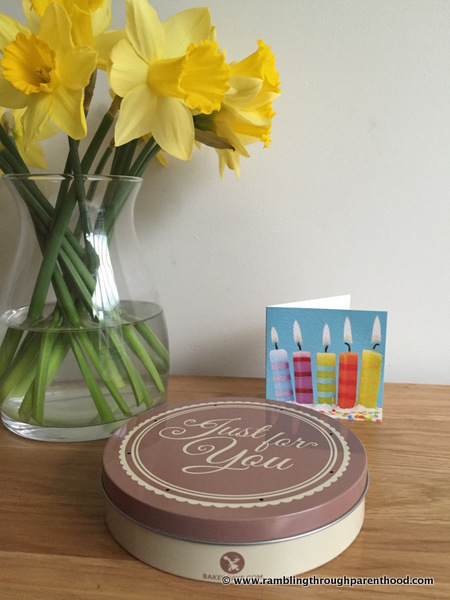 How would you like to come home to find, not a ‘we missed you’ note, but a cake that has come through your letterbox? Pleasantly surprised, I assume. How would you like to surprise a dear friend or loved one with just such a cake? Now you can, with a Letterbox cake from BakerDays. 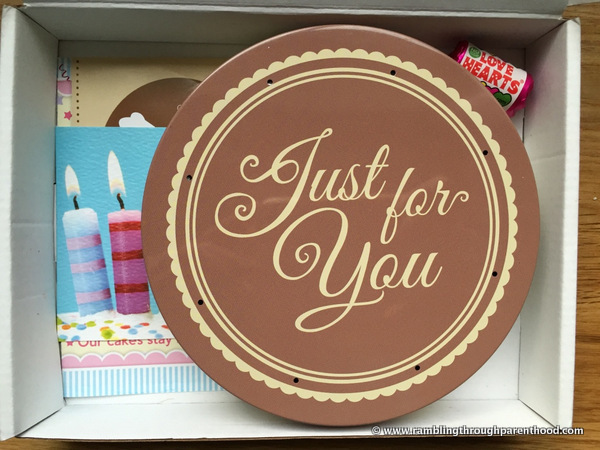 As the name suggests, the cake is just the right size to fit through your standard letterbox. We were given the opportunity to review a Mother’s Day Letterbox cake. Ordering it was simple enough. First, I had to choose my favourite design. Then I had the option to choose the recipe and the size. You can choose a larger size; only it will no longer be a Letterbox cake and will need someone to take delivery. 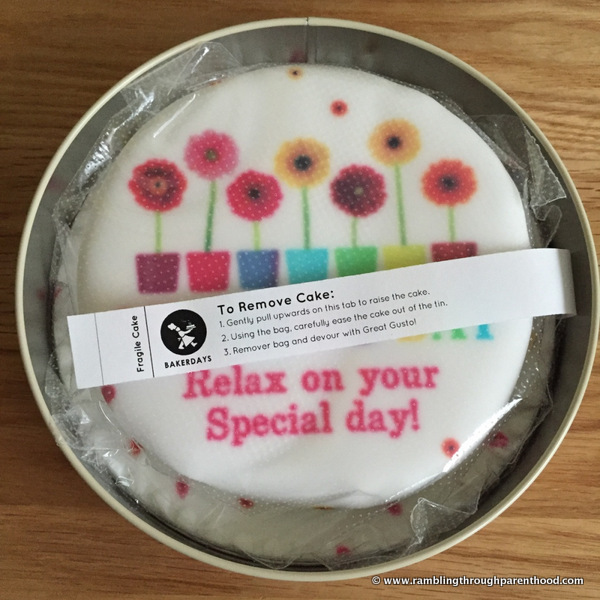 You can then personalise the cake with a message or image. The last time we had a Letterbox cake, I did personalise it with my own message. This time, I opted to go with the generic design option of flowerpots. 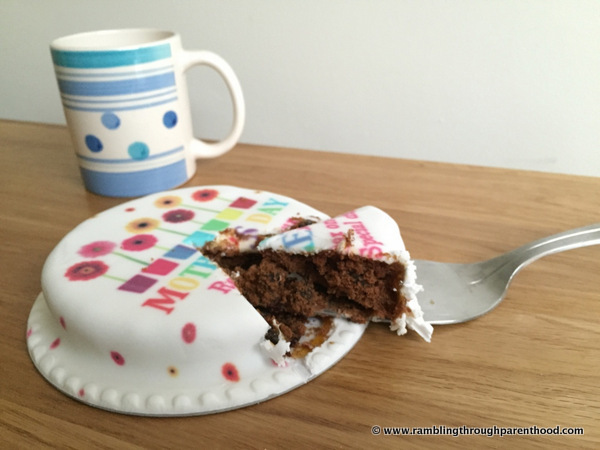 I did however, choose a fruit cake instead of a vanilla or chocolate sponge. It was a Mother’s Day cake, so I went with my favourite. The cake arrived promptly through our letterbox as promised. It was securely packed in a keepsake tin and came with a card and small packet of love hearts. It was easy to lift it out of the box. Once opened, I was a bit surprised to see that my cake was slightly dented on one side. I would prefer it to be uniform all over, especially if it is to be a present for someone. That said, the dent did not take away from the taste. It was delicious and went rather well with a hot cup of tea. Being a smallish cake that serves 3 to 4 people, it was gone in minutes. 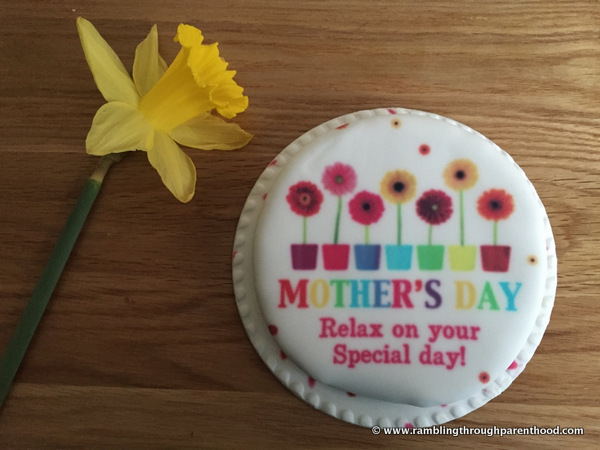 BakerDays are offering a whole range of cake designs for Mother’s Day. 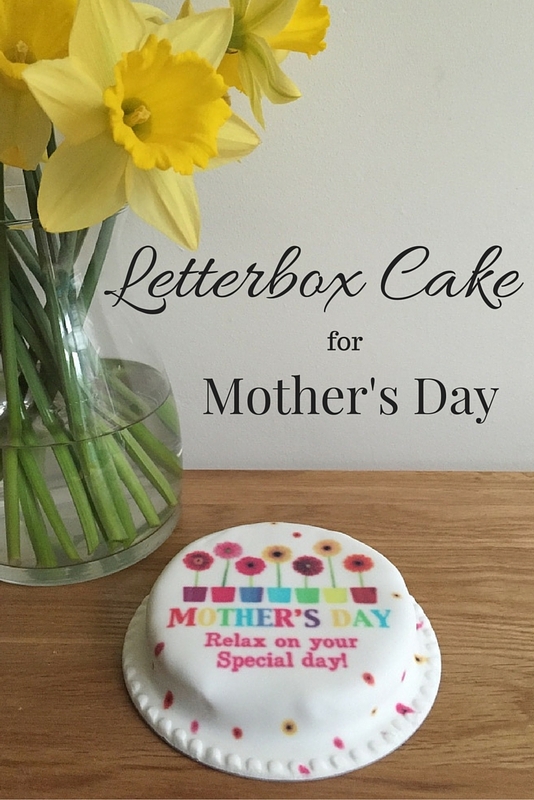 Go ahead and surprise Mum with a cake through her letterbox. Disclosure: I was sent a personalised Letterbox cake for the purpose of this review. All opinions are my own. They absolutely are! Love the concept as well. I would love for someone to send me a cake like this it would be so cool! I have always wanted a letterbox cake! I love the idea of delicious cake popping through my letterbox. Such a fab idea. I think they make a lovely little gift. They always look so yummy so I will have to give one a try. Thanks for sharing.